Positioned on a peaceful no-through road within walking distance to schools, shops, parks, and the bus stop, and with easy access both up and down the mountain, this beautifully updated tri-level home features a unique yet accessible layout and offers exceptional outdoor entertaining areas. 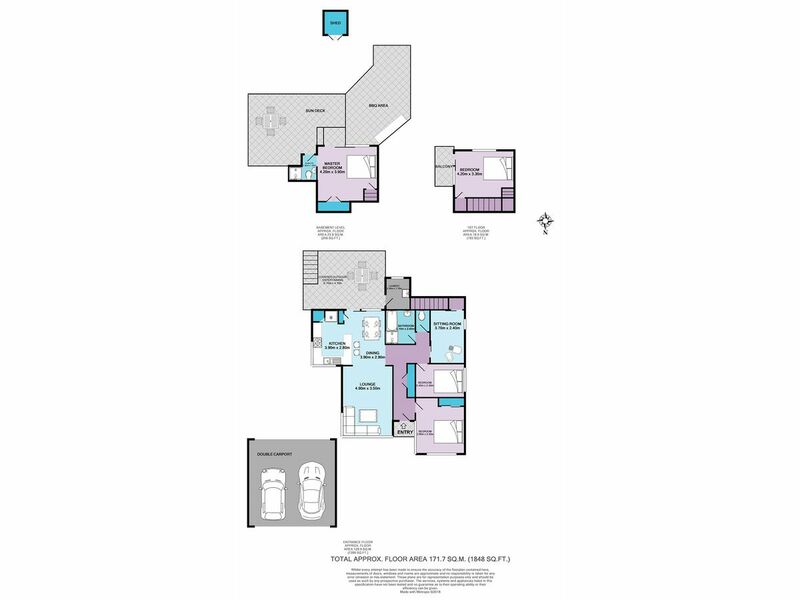 The entrance level is comprised of two bedrooms with ceiling fans, one with a built-in wardrobe, a tasteful modern bathroom with deep bathtub and separate toilet, a sitting room, and a large light-filled lounge containing a gas outlet for heating, a ceiling fan, and air conditioning. 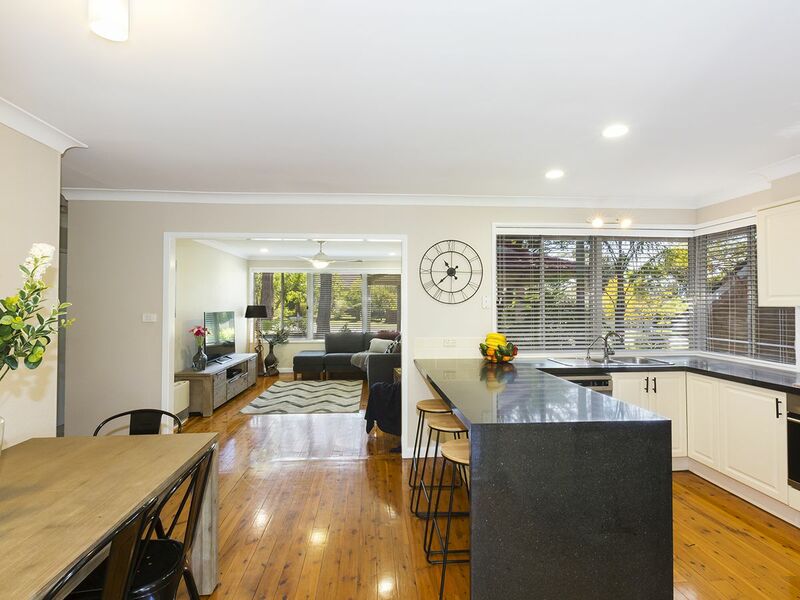 Here, you will also find the open plan kitchen and dining area, with the kitchen featuring extensive storage space, stone benchtops including a breakfast bar, and stainless steel appliances including a dishwasher and a gas cooktop with oven. 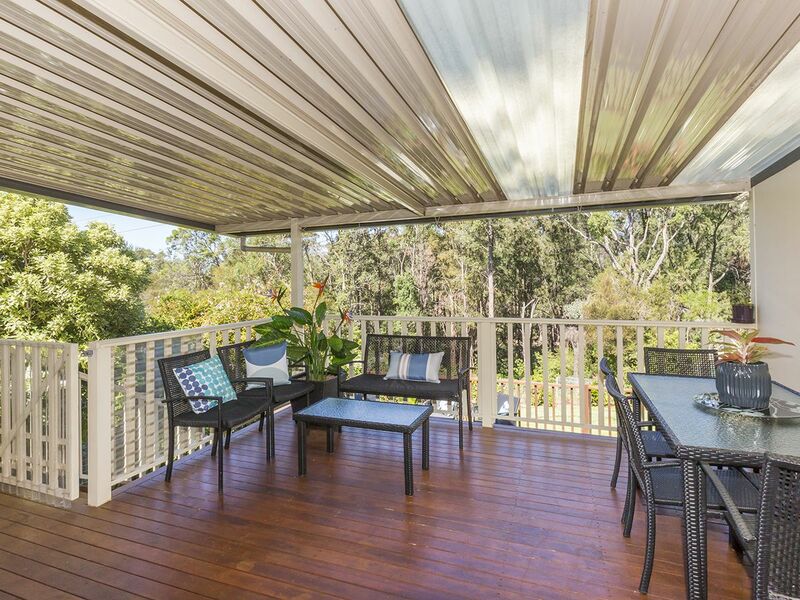 This leads out to the spacious covered outdoor entertaining area. 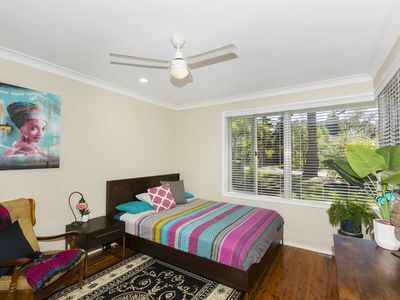 The top floor contains a large bedroom with a ceiling fan, air conditioning right outside the door, and a private balcony overlooking the backyard and bush to the rear. 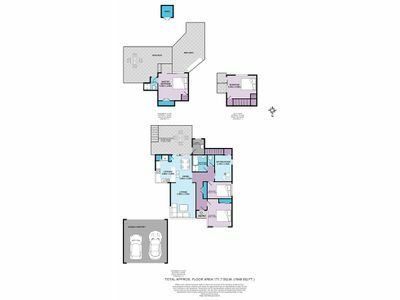 The lower level features the generous master bedroom, offering a modern en-suite bathroom, a ceiling fan, and a built-in wardrobe. The master bedroom flows out to the expansive sun deck and BBQ area featuring a built-in BBQ with sandstone benching. 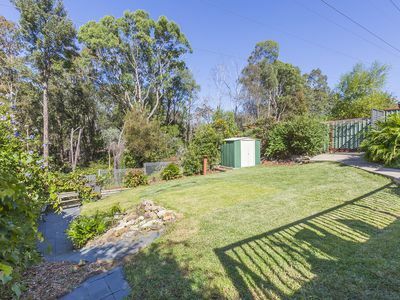 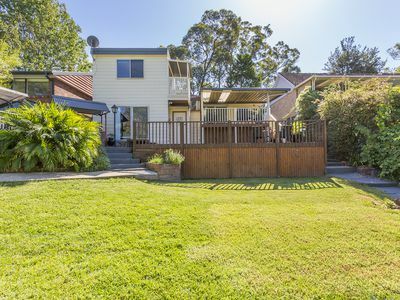 The level fully fenced backyard is attractive yet low maintenance, with a lush lawn surrounded by easy-care gardens. The bush backdrop adds a verdant private outlook to the rear. 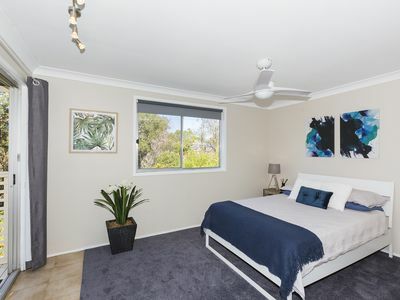 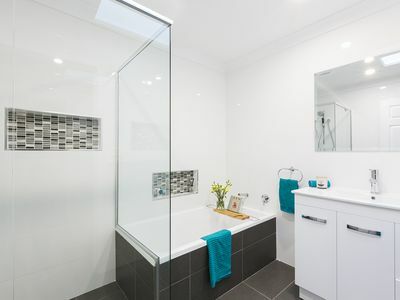 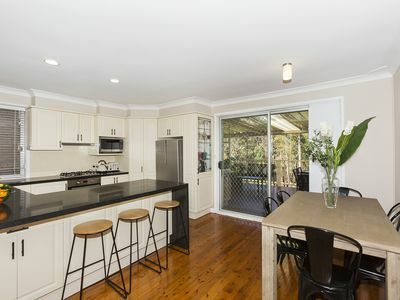 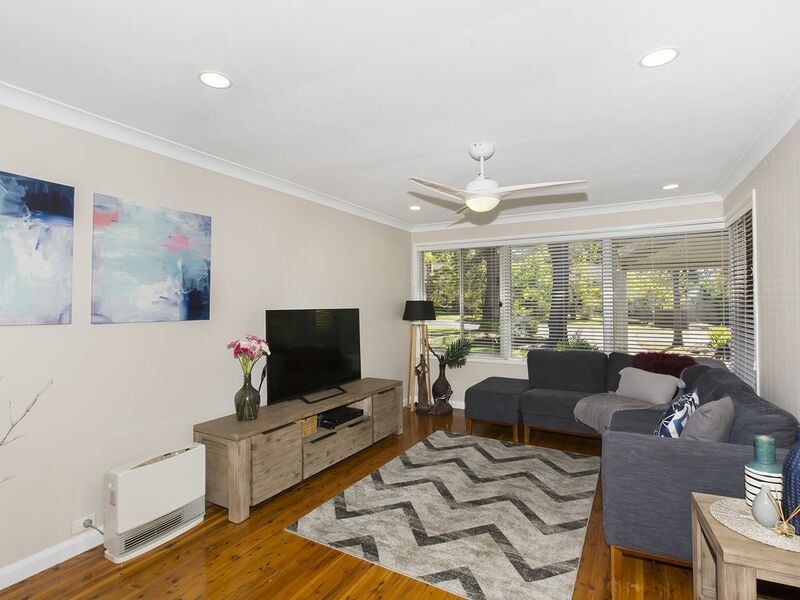 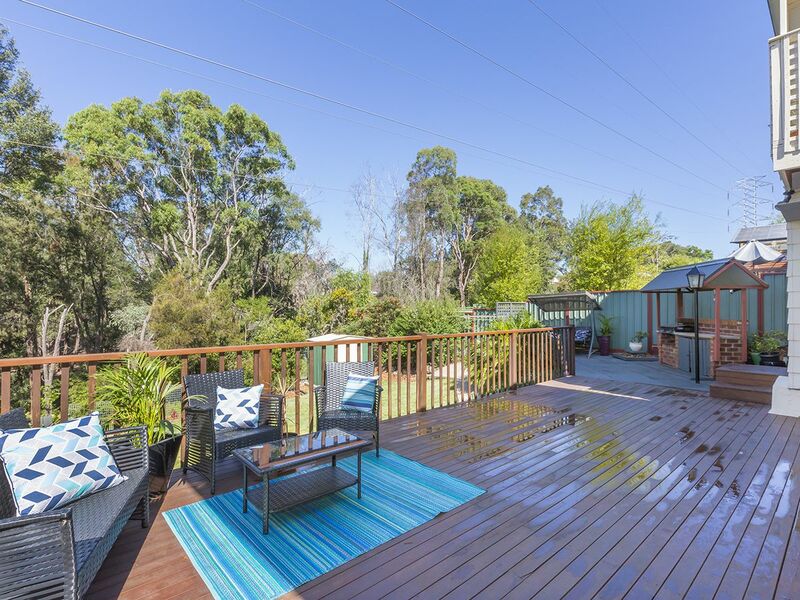 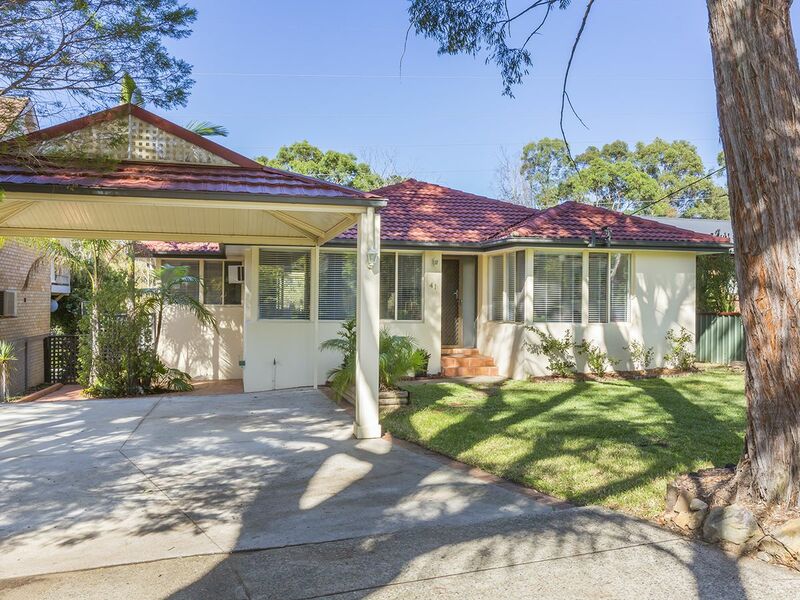 Additional features to note include: polished timber floors and immaculate carpeting; double carport; garden shed and dry storage under top deck. 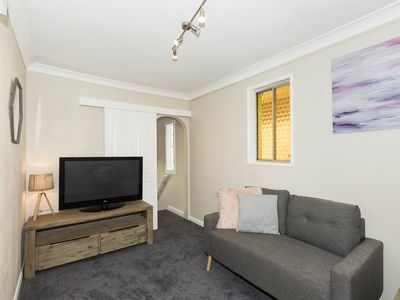 Please contact Lister & Cole Estate Agents for further details on this modern yet homey tri-level home in a quiet yet convenient location.